Following last year’s successful week of fund raising activities and awareness initiatives, the Frontier team has committed to do even more for Mental Health Awareness Week. 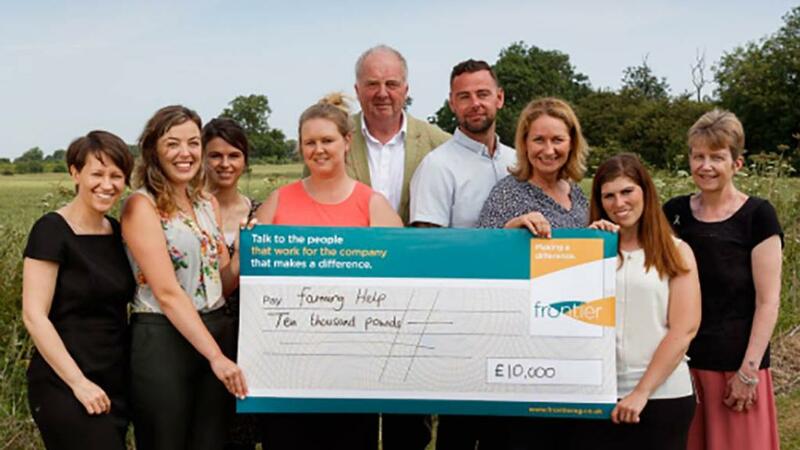 For the second year, Frontier has committed to give a penny to charity for every tonne of grain purchased ex-farm from UK growers during this week’s Mental Health Awareness Week. On average, Frontier trades 100,000 tonnes of grain every week. Events and charity challenges are organised across Frontier’s UK-wide sites during the week, with employees planning on shaving their heads, abseiling from grain silos, organising inter-department quiz nights and bake sales, and even being placed in stocks so colleagues can pay cash to throw wet sponges at them. And all of this is to raise money for charity and awareness of the importance of looking after our mental health. Money raised in 2018 will be split between: BEAT, Mind, Anxiety UK, Sane, Addington Fund, Farming Community Network, RABI and RSABI.